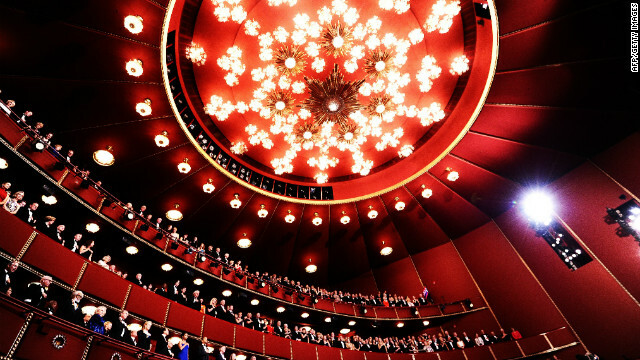 Since 1978, the Kennedy Center has chosen only two Hispanics among more than 170 honorees. (CNN) - Normally, you might think that a controversy over whether the Kennedy Center, one of the nation's leading performing arts organizations, is overlooking the contributions of Latino artists, actors and musicians would be a real sleeper. Until you heard that, during a recent telephone conversation between one lover of the arts and another, one claims the other told him to "F- yourself." Ok, gentlemen, you have my attention. It all happened very quickly. On Sept. 14, Felix Sanchez, chairman of the National Hispanic Foundation for the Arts, and Michael M. Kaiser, president of the John F. Kennedy Center for the Performing Arts talked. In multiple media reports, Sanchez said that Kaiser took none too kindly to him expressing his concern over the constant omission of Latinos from the annual list of Kennedy Center Honors recipients. Since 1978, the Kennedy Center has chosen only two Hispanics among more than 170 honorees: Spanish tenor Placido Domingo and U.S.-born performer Chita Rivera, who is of Puerto Rican descent. Both these breakthroughs happened during Michael Kaiser's tenure, which has lasted nearly 12 years. In 2012, Latinos are nearly ubiquitous. You'll find them in corporate America, professional sports, music, entertainment, politics and the media. At 50 million people, America's largest minority is everywhere. Except, for some reason, on the annual list of Kennedy Center Honorees. Mr. Navarette, to expect honors from others is one of the worst kinds of dependencies; this is a nation of opportunity, not submission, we Latinos will have our successes or not, recieve our honors or not, but there is no absolutely reason why we have to measure our worth by the standards of small groups of people who are so different from us. If we strive and succeed at our endeavors, our honors will be given to us as they are due by the measure of our individual and collective achievements, influence and power, not by some uptown city show bookie. This is why people accuse you of being a racist (or at the very least biased) Hispanic, Mr Navarrett. Hispanics are a minority therefore it stand to reason there would be few examples of them Kennedy Center. Its math Navalito not racism. By your own admission they have including Hispanics… just not enough for your liking.